Oliver Colton Chapin was born on 29 April 1811. He was the son of Heman Chapin and Electa Humphrey. Oliver Colton Chapin died in 1881. Unmarried. Mary Eliza Chapin lived at Milwaukee, WI. She was born on 28 April 1813. She was the daughter of Heman Chapin and Electa Humphrey. 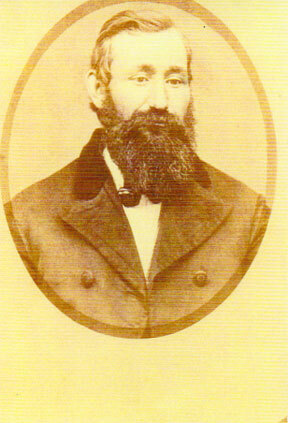 Ralph Bulkey Chapin was born on 13 August 1815. He was the son of Heman Chapin and Electa Humphrey. Caroline Emma Chapin was born on 1 January 1818. She was the daughter of Heman Chapin and Electa Humphrey. Charles Heman Chapin was born on 17 March 1822. He was the son of Heman Chapin and Electa Humphrey. Charles Heman Chapin died on 28 October 1889 at age 67. Charles Hollister was born on 6 September 1842. He was the son of Isaac Treat Hollister and Ellen Chapin. Ralph Hollister was born on 4 February 1839. He was the son of Isaac Treat Hollister and Ellen Chapin. 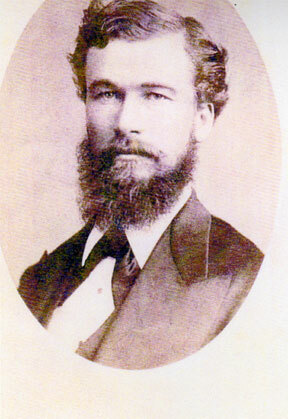 Oliver Hollister was born on 6 February 1837. He was the son of Isaac Treat Hollister and Ellen Chapin. Oliver Hollister married Margaret J. (? 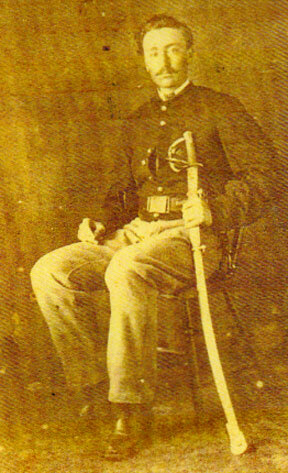 )1 Oliver Hollister died at the Civil War. Oliver and Margaret wer enumerated in the 1860 Victor, Clinton Co., MI, federal census. He was a lumberman, age 27; she was 27. The only child in the household was Ada, 2. They were enumerated next door to his father Isaac. William was born, perhaps in Massachusetts or in Windsor, CT, or he may have been an immigrant from England. He was known to have been in Windsor in 1672, later removing to Farmington, and still later to Simsbury, CT, where he married Mary Case. William was already in the midst of business engagements in Simsbury when we first learn of him. He traded in land and was holder of extensive real estate. The court records of the time show something of the extent of his operations. Mary, his widow, was made executrix to his estate. Several years elapsed before the estate was finally settled and at the time of his death there were some claims against him which were not adjusted until later. [S359] William Alderman Parker, Alderman, Page 11. [S359] William Alderman Parker, Alderman, Page 14, 20. Mary Alderman was born on 22 September 1680 at Simsbury, Hartford Co., CT.1 She was the daughter of William Alderman and Mary Case. Thomas Alderman was born on 9 June 1683 at Simsbury, Hartford Co., CT.1 He was the son of William Alderman and Mary Case. William Alderman was born on 20 October 1686 at Simsbury, Hartford Co., CT.2 He was the son of William Alderman and Mary Case. [S359] William Alderman Parker, Alderman, Page 483. Sarah Alderman was born in 1691 at Simsbury, Hartford Co., CT.1 She was the daughter of William Alderman and Mary Case. Benoni Griffin was born circa 1714. He was the son of Thomas Griffin and Elizabeth Welton.1 Benoni Griffin married Mary DeLacy, daughter of (?) DeLacy and Mary (? ), circa 1742.1 Benoni Griffin died on 13 February 1801 at East Granby, Hartford Co., CT.
Deborah (?) died on 11 April 1750. She married Elijah Alderman, son of John Alderman and Sarah Case. Ezekiel Alderman was born in 1724.1 He was the son of John Alderman and Sarah Case. Ezekiel Alderman died on 4 February 1765. Sarah Alderman married Gideon Case. Sarah Alderman was born circa 1727.1 She was the daughter of John Alderman and Sarah Case. Gideon Case married Sarah Alderman, daughter of John Alderman and Sarah Case. Naomi Alderman was the daughter of John Alderman and Sarah Case. Damaris Phelps married William Moore, son of Andrew Moore and Sarah Phelps, on 20 January 1740. William Moore was born on 19 July 1712. He was the son of William Moore and Elizabeth Case. William Moore died on 29 January 1739 at age 26. James Moore was born on 6 June 1715 at Simsbury, Hartford Co., CT. He was the son of William Moore and Elizabeth Case. James Moore married Rachel Grant, daughter of Matthew Grant and Hannah Chapman, on 25 May 1737 at Simsbury, Hartford Co., CT. James Moore died on 5 March 1788 at age 72. Rachel Grant was born on 17 April 1704 at Windsor, Hartford Co., CT. She was the daughter of Matthew Grant and Hannah Chapman. Rachel Grant married James Moore, son of William Moore and Elizabeth Case, on 25 May 1737 at Simsbury, Hartford Co., CT.
Stiles shows Rachel married James, son of William and Damaris Moore. They had seven children who were named in his will, 19 December 1782. [S52] Henry R. Stiles History of Ancient Windsor II, Page 307/Item 44. Timothy Moore was born in 1716. He was the son of William Moore and Elizabeth Case. Timothy Moore died on 20 January 1731. Ebenezer Moore married Tabitha Phelps, daughter of Lt. Samuel Phelps and Abigail Eno. Ebenezer Moore was born on 20 April 1722. He was the son of William Moore and Elizabeth Case. Carol Laun in her Nutmegger article disusses at length that there is no proof that Ruth's surname was Granger. Andrew Moore was born in 1724. He was the son of William Moore and Elizabeth Case. Andrew Moore died on 6 May 1777. Isaac Moore was born in 1727. He was the son of William Moore and Elizabeth Case. Isaac Moore married Sybil Holcombe, daughter of Thomas Holcombe and Sarah Ridout. Isaac Moore died on 1 November 1817. Daniel Adams married Mary Phelps. Mary Phelps married Daniel Adams. This marriage of Mary and Daniel Adams is confused with Mary Phelps and Daniel Adams on page 99 of the Phelps Genealogy. There are enough differences not to combine them. Lois Griswold was born on 19 August 1721 at Windsor, Hartford Co., CT. She was the daughter of Joseph Griswold and Lois Phelps. Lois Griswold married Benjamin Adams, son of Daniel Adams and Mary Phelps, on 29 May 1734 at Simsbury, Hartford Co., CT. Lois Griswold died on 15 January 1758 at age 36. [S116] Esther Griswold French and Robert Lewis French, Griswold, Page 69/Item 100. Joseph Adams was born in 1685. He was the son of Daniel Adams and Mary Phelps. Joseph Adams married Mary Case, daughter of William Case and Elizabeth Holcombe, on 30 April 1719. Joseph Adams died on 26 March 1741. [S115] Ed. George Norbury Mackenzie Colonial Families of the United States of America, Volume 1/viewed online at Ancestry.com. Benjamin Adams was born on 20 February 1714. He was the son of Benjamin Adams and Rachel Case. Benjamin Adams died on 22 January 1733 at age 18. [S101] Ruth Cost Duncan, John Case, Page 4/Item 3.iv.a. Timothy Adams was born in 1716. He was the son of Benjamin Adams and Rachel Case. [S101] Ruth Cost Duncan, John Case, Page 4/Item 3.iv.b. Pelatiah Adams was born on 9 February 1720. He was the son of Benjamin Adams and Rachel Case. Pelatiah Adams married Sarah Phelps on 24 March 1738. Pelatiah Adams died on 9 March 1754 at age 34. Sarah Phelps married Pelatiah Adams, son of Benjamin Adams and Rachel Case, on 24 March 1738. Lydia Adams was born on 29 July 1724. She was the daughter of Benjamin Adams and Rachel Case.